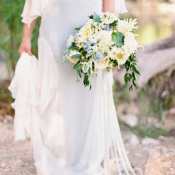 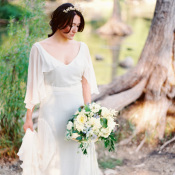 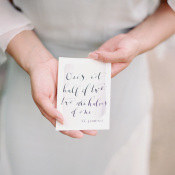 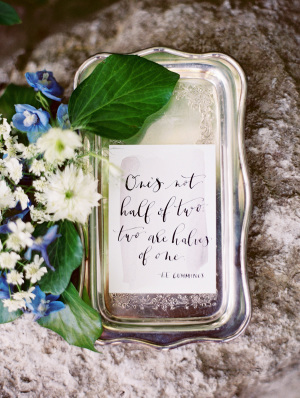 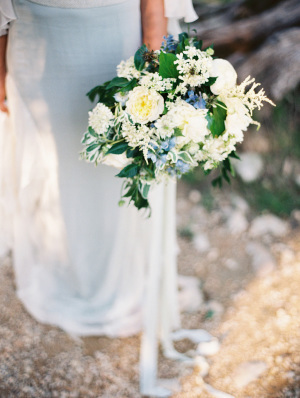 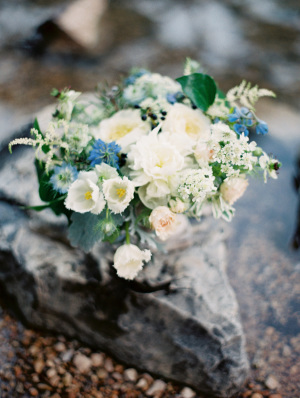 The peaceful rivers of central Texas are the inspiration for today’s rustic, romantic wedding inspiration. 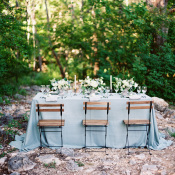 The peaceful blue and green hues and gorgeous wood tones come together in a positively ethereal setting. 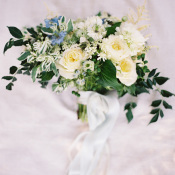 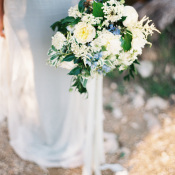 We adore the loose compote arrangements in pale blue, ivory, and green and handtied bouquet by Without Wax, Katy with ribbon from Silk and Willow. 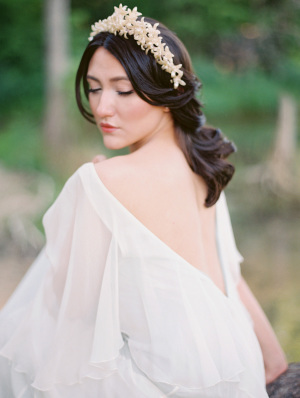 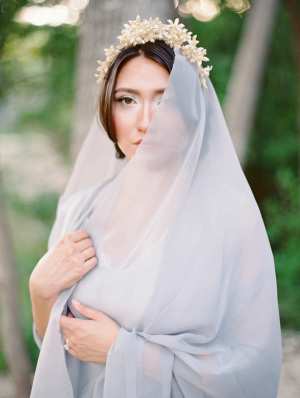 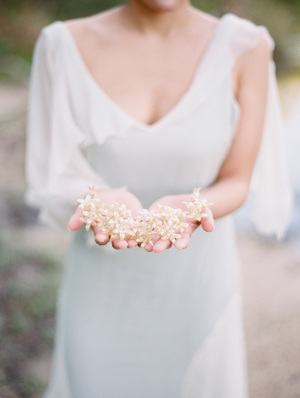 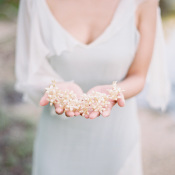 A delicate, floaty gown and pearl headpiece by Shop Gossamer completes the scene. 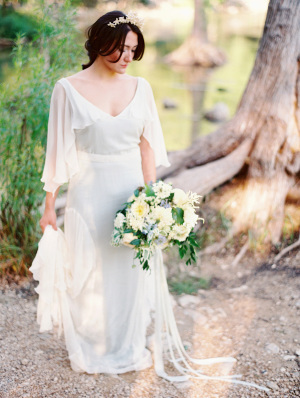 The graceful bridal look is so simple and chic, a throwback to the gowns of the 1970s. 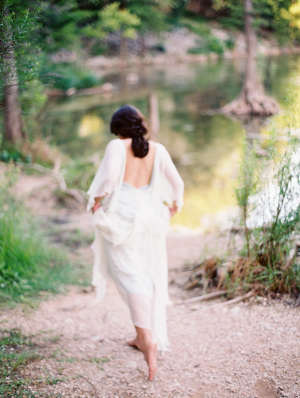 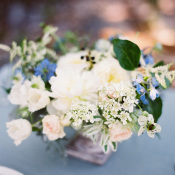 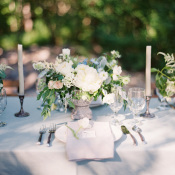 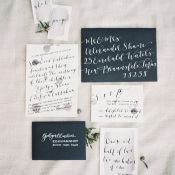 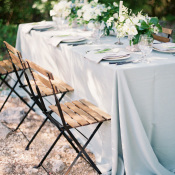 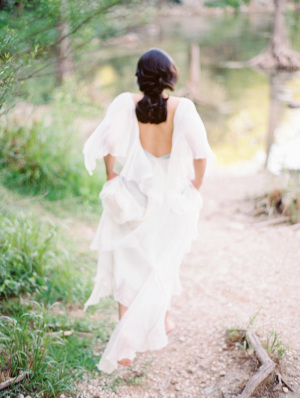 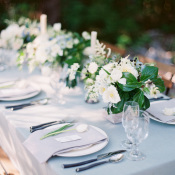 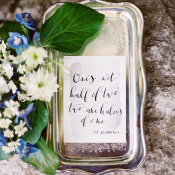 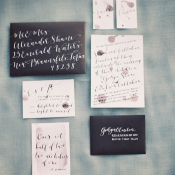 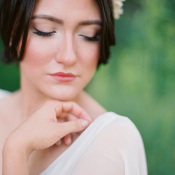 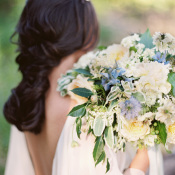 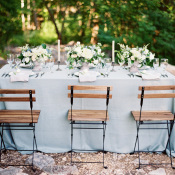 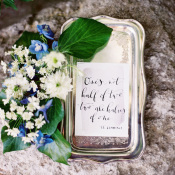 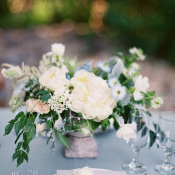 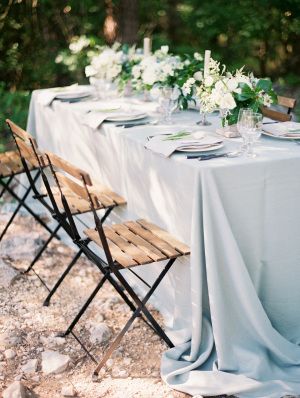 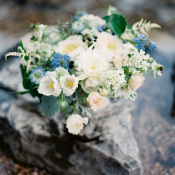 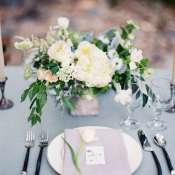 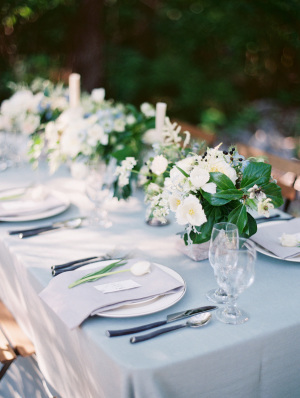 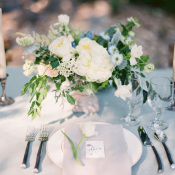 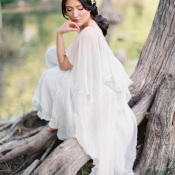 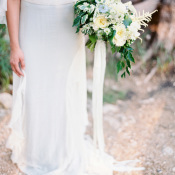 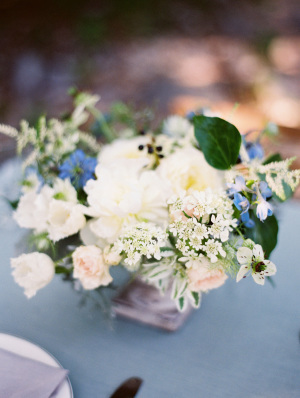 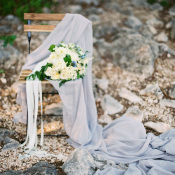 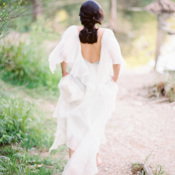 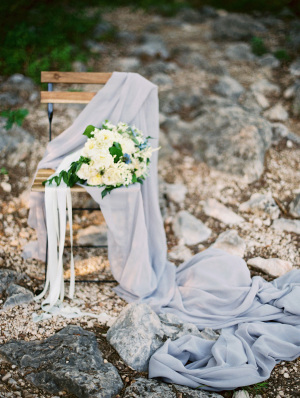 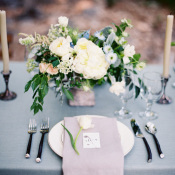 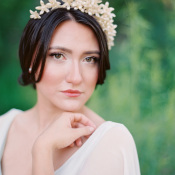 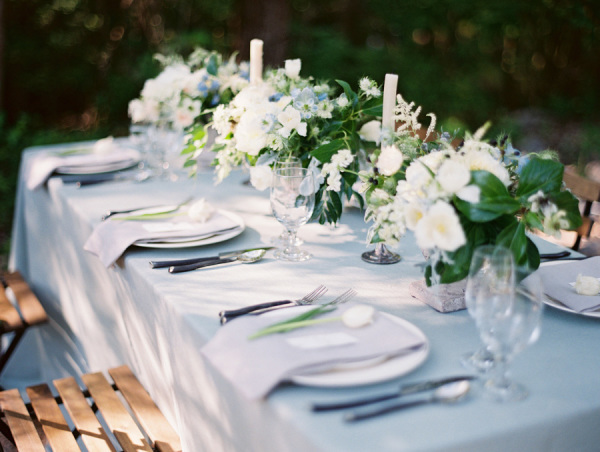 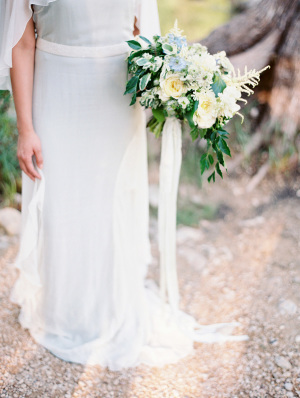 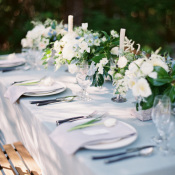 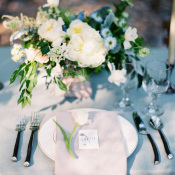 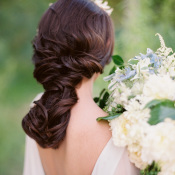 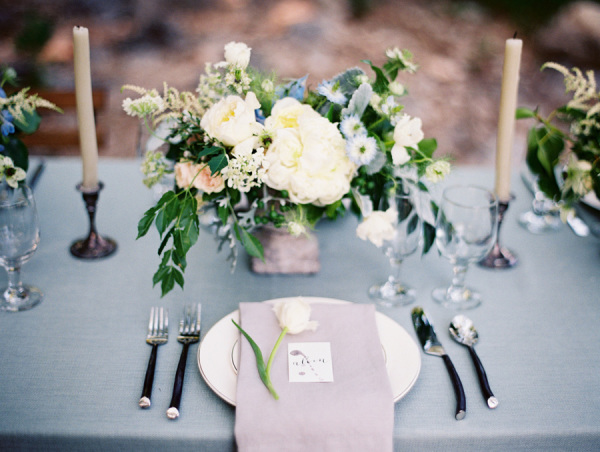 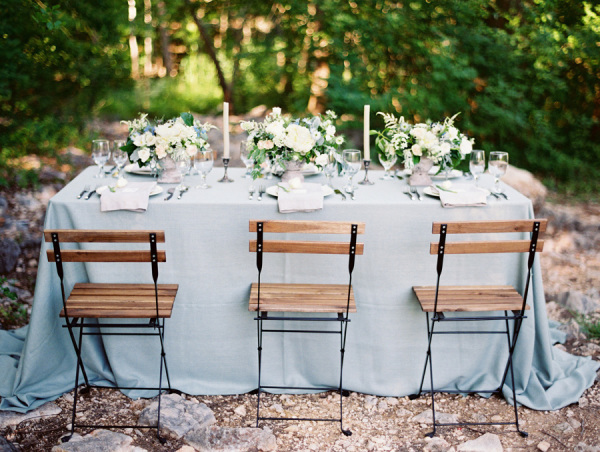 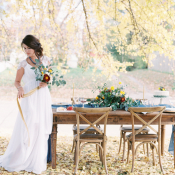 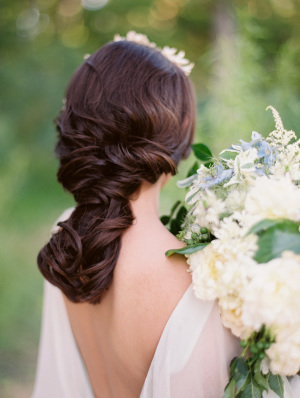 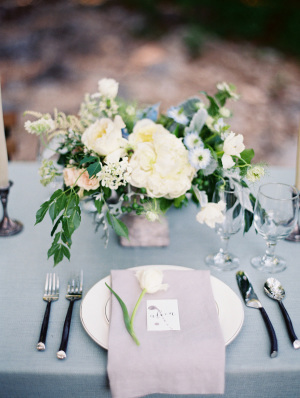 The classic film images from Krystle Akin Photography capture the setting with grace. 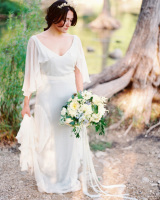 We are completely smitten!